Sponsors & Volunteers – USWSESSC Inc. 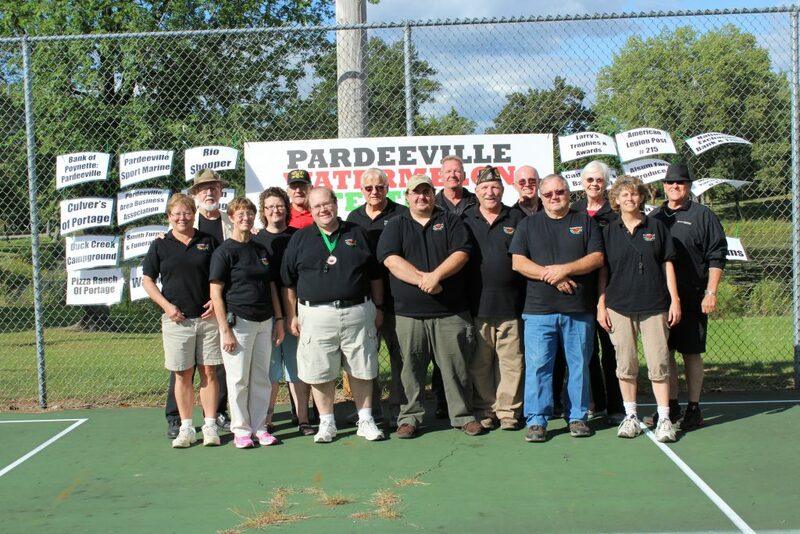 The Pardeeville Watermelon Festival is always looking for sponsors and volunteers. Any financial contributions made will go directly to making the festival bigger and better than last year. We hope that you all will consider assisting us in some way. Financially – as a non-profit free festival, the U.S. Watermelon Speed-Eating and Seed-Spitting Championships, Inc. relies on donations from local area businesses and individuals to keep the festival running. Financial contributions go towards marketing, promotions, and maintenance. We accept any contribution you or your business or organization can make. You can mail in your check to our post office box, deliver it to one of our committee members, or simply drop it in the donation jar at the carving table during the festival. Volunteer – we are always looking for more volunteers. For 45 years, the Pardeeville Watermelon Festival has always been a community volunteered event. We routinely need people ‘day-of’ to assist with set-up and clean-up, organizing the event, assisting Festival Judges with championship events, and promoting prior to the event at other local festivals. If you are interested in volunteering, please visit us during one of our organizational meetings, show up day of to help, or email us. Experience – just by coming to the festival, you are contributing to it’s success. Bring the family, drag the in-laws along, invite your campground neighbors, tell your co-workers! Come and enjoy some free sliced watermelon, browse our vendors, grab some lunch, and watch people compete in our championship events. Check back for updates and future news from the U.S. Watermelon Speed-Eating and Seed-Spitting Championships, Inc. The Pardeeville Watermelon Festival is an annual fall festival held the first Saturday after Labor Day in September, hosted in beautiful Chandler Park. It is held in Pardeeville, WI, USA, home of the U.S. Watermelon Speed-Eating and Seed-Spitting Championships, Inc. For more information, please use the links above. This website will be changing more and more as we get closer to our event, so check back soon. For more immediate information, please email info@pardeevillewatermelonfestival.com.